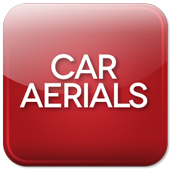 In Car Aerials for AM/FM and DAB Digital radio, replacement aerials and aerial adapters. 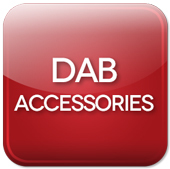 Need a replacement car aerial, or perhaps you're upgrading to an in car DAB radio? We have a range of replacement car radio aerials including DAB aerials for in car digital radio and AM/FM car aerials. 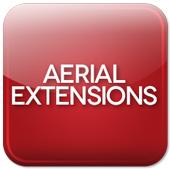 We also have a range of aerial adapters for ISO, DIN, FAKRA, SMB, SMA etc. and cabling. 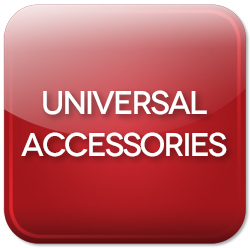 Please select from the following car aerial and accessory categories, plus there are categories with car specific aerial adapters. Aerial cabling and extensions for in car radio, both DAB and AM/FM. Aerial connectors and adapters for DAB digital radio. Aerial accessories and connectors for in car radio aerial installation. Aerial adapters for Audi. Convert Audi specific aerials to allow connection of a new after-market radio, FM modulator etc. Aerial adapters for BMW. Convert BMW specific aerials to allow connection of a new after-market radio, FM modulator etc. Aerial adapters for Citroen. Convert Citroen specific aerials to allow connection of a new after-market radio, FM modulator etc. Aerial adapters for Honda. Convert Honda specific aerials to allow connection of a new after-market radio, FM modulator etc. Aerial adapters for Mazda. Convert Mazda specific aerials to allow connection of a new after-market radio, FM modulator etc. Aerial adapters for Mercedes. Convert Mercedes specific aerials to allow connection of a new after-market radio, FM modulator etc. Car aerial adapters for Nissan. Convert Nissan specific car aerials to allow connection of a new after-market radio, FM modulator etc. Aerial adapters for Peugeot. Convert Peugeot specific aerials to allow connection of a new after-market radio, FM modulator etc. Aerial adapters for Seat. Convert Seat specific aerials to allow connection of a new after-market radio, FM modulator etc. Aerial adapters for Skoda. Convert Skoda specific aerials to allow connection of a new after-market radio, FM modulator etc. Aerial adapters for Suzuki. Convert Suzuki specific aerials to allow connection of a new after-market radio, FM modulator etc. Aerial adapters for Vauxhall. Convert Vauxhall specific aerials to allow connection of a new after-market radio, FM modulator etc. Aerial adapters for VW. Convert VW specific aerials to allow connection of a new after-market radio, FM modulator etc. Aerial adapters for Volvo. Convert Volvo specific aerials to allow connection of a new after-market radio, FM modulator etc.